The short answer is “most likely”. It’s a chance to spend quality time with your child and it’s fun. It’s a great break from work. It makes you feel good. It’s a great way to give back to the community. Speaking for me personally, coaching, in short, has been one of the best activities I’ve ever done with my 4 children. It has brought me closer to them and I have met some amazing families along the way. 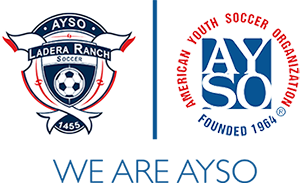 AYSO will provide you all the training and mentorship you need and it’s probably much less than you think at this age level. If you’re still having doubts, sign up as Assistant Coach and we’ll be happy to pair you with a more experienced coach. If you want to learn more about our onboarding process, go here and send any questions to rca@ayso1455.org. it’s so great to see this type of support for our new coaches. Also to see how our region has evolved. The best years I had were coaching my son’s teams for a decade. This will give so many new coaches confidence and tools to have a great experience for many years. Thank you!